Showers are a very important part of a bird's daily activity. 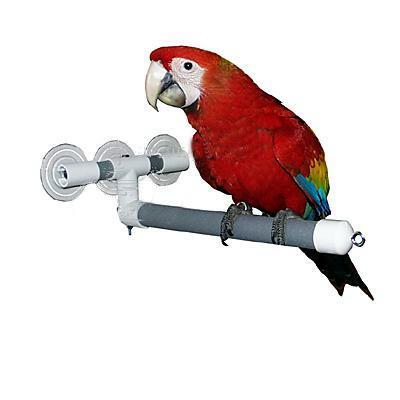 This perch can give back the thrill of a tropical rainforest right in your own shower! Other uses for this versatile perch are windows and mirrors or any area with a smooth non-porous surface. Textured perch measures 13-3/4 inches long (including end-cap), and is 1-3/4 inches in diameter. Uses three 3-1/34 inch suction cups.